I would love to see Harvard University and other left-wing institutions lose taxpayer money over this. When Harvard University faced a regulatory complaint in 2015 about alleged quotas that held down Asian-American admissions, the Obama administration gave it a pass, citing ongoing litigation on the subject. Now that the Trump administration is in charge, Harvard is facing a battle over its affirmative action policies on both regulatory and judicial fronts. Asian-American groups that have long accused Harvard of discrimination are celebrating the regulatory about-face. “We are happy hearing that and hope for concrete steps taken by the” Justice Department, Chunyan Li, a board member of the Asian American Coalition for Education, told The College Fix in a phone call. The division consists of Trump political appointees, as opposed to the career civil servants who lead DOJ’s Educational Opportunity Section, Circa reported. This is actually a real problem in left-wing colleges and universities, and there was even a recent study about it that was published in Science, one of the top peer-reviewed journals. When it comes to academic achievement, Asian-Americans outclass every other ethnic group, with more than half over age 25 holding a bachelor’s degree—well above the national average of 28%. 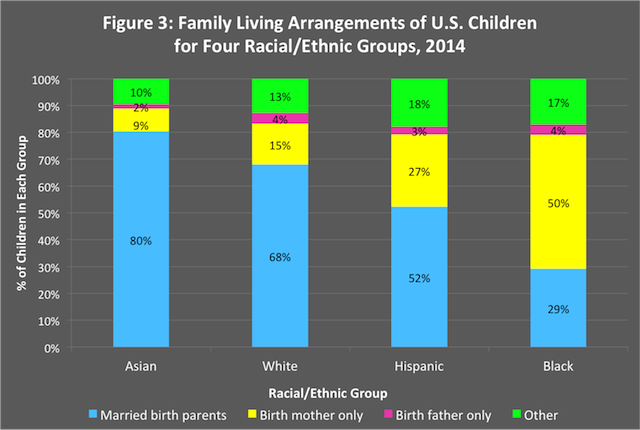 To find what gives Asian-Americans a leg up, a team of sociologists scoured two long-term surveys covering more than 5000 U.S. Asian and white students. After crunching test scores, GPAs, teacher evaluations, and social factors such as immigration status, the team reports a simple explanation online today in the Proceedings of the National Academy of Sciences: Asian-American students work harder. The team found that students from all Asian ethnic groups put greater importance on effort than on natural ability. This outlook, the team argues, causes students to respond to challenges by trying harder and has a greater impact on Asian-Americans’ academic achievement than does cognitive ability or socioeconomic status. However, the team says Asian-American students reported lower self-esteem, more conflict with their parents, and less time spent with friends compared with their white peers. The team suspects the high academic expectations or their “outsider” status in American society could be to blame. Although it’s trendy on the left to say that they are color-blind, the truth is that the left is obsessed with race and racism. In this case, racial discrimination against hard-working Asians. I have no problem with letting in as many Asians as deserve to get admitted, because race shouldn’t be a factor in admissions. The best students should be admitted – the ones who can actually do the work. If Harvard does lose it’s federal funding for racism, then it would be nice to see all the other colleges that discriminate on race lose their as well. It’s amazing to me that we give so much money to educational institutions anyway, which just drives up the cost of a college education.